Tuition in preschool programs is based on a child to teacher ratio of 6-1 for children 2.9 through 4 and 7-1 for Pre-Kindergarten. Please note that our prices in the 9 month morning program reflect a 3.25 hour school day. All classes include a weekly gym and music program. Children are grouped in classes according to age. Tuition is non-refundable. Registration Fee – An initial non-refundable registration fee of $100 per child is required at the time a registration form is submitted. Students must register for each school year and all outstanding fees and deposits must be paid in full prior to registration. 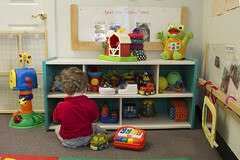 Annual registration fees for the Children’s Center and Preschool are limited to a maximum of $200 per family per year. 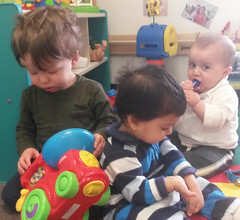 9 Month Morning Program – This class runs on a 9 month school year calendar from 9 AM-12:15 PM with vacations similar to the Framingham Public Schools. A copy of the preschool calendar is distributed during the summer and is available on request. A deposit equivalent to one tuition payment is due on or before June 1st. 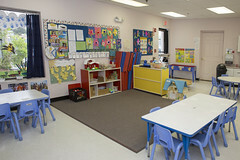 This deposit holds the child’s place in the program for the school year from early September through early June. Tuition payments are then due by the first of the month from September through June. This program is a 9 month commitment. Extended Day Program – This program is only for children enrolled in the 9 Month Morning Program. This program is for families that would like to lengthen their child’s day on the 9 month schedule. Students enrolled in the 9 Month Morning Program can register for extended hours for the school year. 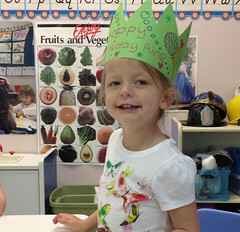 This program starts on the first day of preschool and ends on the last day of preschool. Rates are on the backside of the preschool registration form. Drop in extended hours are also possible on an occasional basis as space is available. The Extended Day Program is closed when the morning preschool program is closed. See school calendar for details. The 12 Month Program – This program operates on a year round calendar from 9/1-8/31. The 12 Month Program is closed on the following holidays: Labor Day, Columbus Day, Day before Thanksgiving (close at 1:00), Thanksgiving Day, Day after Thanksgiving, Christmas Eve (close at 1:00) Christmas Day, New Year’s Eve (close at 1:00) New Year’s Day, Martin Luther King Jr. Day, Presidents’ Day, Patriots’ Day, Memorial Day, Independence Day, and one professional day, in March. When preschool is not in session, children in the 12 Month Program participate in our vacation and summer programs at no additional cost. A deposit equivalent to one month’s tuition is due on or before June 1st. This deposit holds the child’s place in the program for the full year from September 1st through August 31st of the following year. Tuition is due the first of each month beginning in September. A 12 month commitment is necessary for this program. 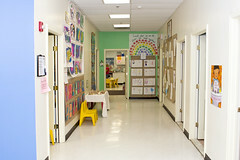 This program includes care every day that a child is scheduled to attend and the center is open. The 10 Month Program – This program operates from 9/1-6/30. Great Program for Educators! The 10 Month Program is closed on the following holidays: Labor Day, Columbus Day, Day before Thanksgiving (close at 1:00), Thanksgiving Day, Day after Thanksgiving, Christmas Eve (close at 1:00) Christmas Day, New Year’s Eve (close at 1:00) New Year’s Day, Martin Luther King Jr. Day, Presidents’ Day, Patriots’ Day, Memorial Day and one professional day, in March. When preschool is not in session, children in the 10 Month Program participate in our vacation program at no additional cost. A deposit equivalent to one month’s tuition is due on or before June 1st. 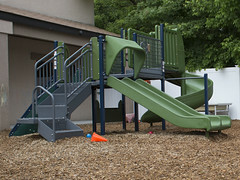 This deposit holds the child’s place in the program for the school year from September 1st through June 30th. Tuition payments are then due by the first of the month from September through June. This program is a 10 month commitment. Families have the option of a 9 or 10.5 hour day schedule. 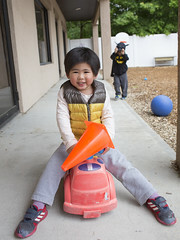 This program includes care on days that the Morning Preschool Program is closed e.g. (Rosh Hashanah, Yom Kippur, Veteran’s Day, Thanksgiving Eve (1pm), Christmas Eve (1pm), Winter break, New Year’s Eve (1pm), February Break, April Break). Tuition Deposits: All deposits are adjusted annually. For those students who will not return the next year, the deposit, less any outstanding fees, is returned at the end of the program. As preschool places are extremely difficult to fill in the summer or mid-year, deposits and tuition payments are forfeited for students who do not begin or complete the school year for which they registered. If you choose to withdraw or make changes to your registered program, permanently or temporarily, before the end of the year, all or a portion of your deposit will be forfeited. See the Deposit Policy for more detailed information. Summer Program – This program compliments the school year. 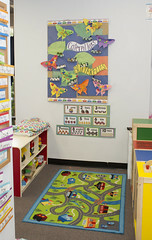 Children enrolled in the 12 Month Program are automatically enrolled in our Summer Program for their regular hours. Other students may attend all or some days with regular hours from 9:00 AM to 1:00 PM. Extended hours are available. Information and sign-up sheets for the Summer Program are distributed in the children’s backpacks in February. See the Summer Program brochure for additional information. Holidays – Holidays are taken into account when setting the yearly tuition. Tuition for those months containing holidays is charged at the regular rate and is not reduced. Sibling Discount – A sibling discount of 5% is applied to the least expensive regular tuition charge. Sibling discounts do not apply to additional hours or special programs. Illness and other Absences – Because of staff scheduling requirements, credit or refunds are not given for illness or other absences. Please call the office (508-877-2593) whenever your child will not attend school. Emergency Conditions – The 9 Month Morning Program and Extended Day Program are closed when the Framingham Public Schools are closed. The 12 and 10 Month Programs will operate unless severe inclement weather occurs. If Framingham State College reports closure on TV or radio Circle of Friends will delay opening until 9:30 AM. In case of a closure a detailed message will be left on the school answering machine by 6AM (508)-877-2593. A building emergency may require the school to close early due to safety concerns. The Program Director will e-mail parents with details under these circumstances. Full tuition is due for months in which emergency conditions require the Center to close. Late Pickup – If a parent is late in picking up a child or drops off earlier than their scheduled program hours, a late charge will be assessed after a five minute grace period at the the rate of $2 a minute and will be charged to their account.